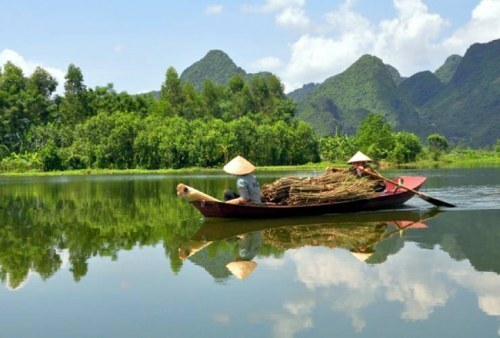 United and ANA have dropped the price of their flights from Toronto to Ho Chi Minh City, Vietnam down to $628 CAD roundtrip including taxes. 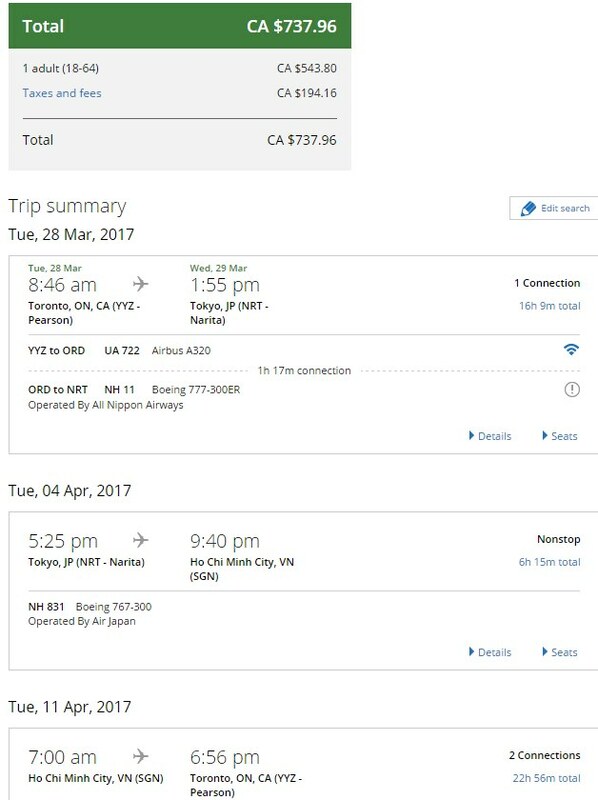 It's also possible to turn this into a 2-in-1 trip with Tokyo, where you spend time in both Japan and Vietnam, for $100 more, for all 3 flights. 2-in-1 trips, where you spend time in both Tokyo, Japan and Vietnam are available for around $100 more. toronto, yyz, flight deals, asia, southeast asia, tokyo, japan, nrt, east asia, hnd, united airlines, ana, ho chi minh city, saigon, vietnam, sgn and all nippon airways. 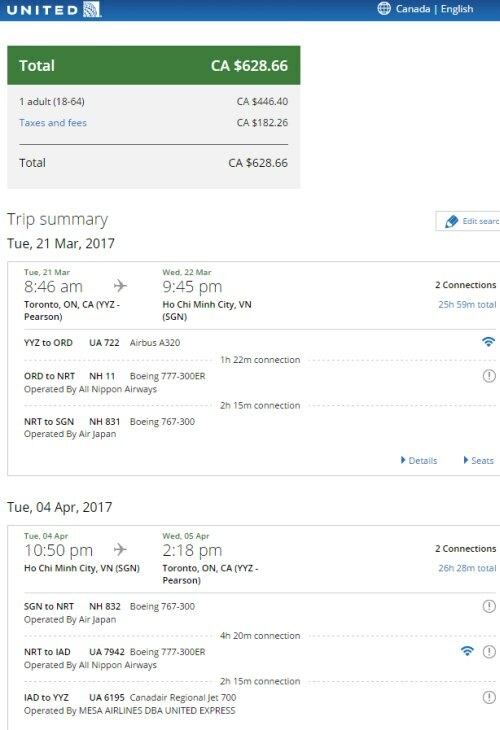 5 Responses to "Toronto to Ho Chi Minh City, Vietnam - $628 CAD roundtrip including taxes | 2-in-1-trip with Japan for $100 more"
I get an error on the United page each time I try to book. This can be a sign that it's going to expire soon, but I just tried April 18 to May 2 and the price verified just fine. Where are you seeing the error? Which dates? Perhaps try slightly different dates if you can. I was trying to book March 21-Apr 4. Everything comes up fine, price is shown as $644. I went through all the steps of entering my payment info, click to proceed, and was given an error each time. I love these emails and I circulate them all the time. This time it was on point for me and I got an amazing deal to Vietnam. Thank you, thank you, thank you...so excited! Mark, I had the same issues that you had in trying to book online. I called United directly and they were able to help me and waive the booking fee since I got the error message. Apparently because the trip uses different airlines, they have to manually verify the flights.